Caroline’s latest project, Mordeo “Hunger” is officially out! Produced by Crypt TV and Matt Kramer with Surrender Pictures, the episode was written and directed by Ben Sottak in collaboration with co-writer and DP Steven Russell. Caroline had an incredible time working on this project with the entire cast and crew. Watch above to see if the Mohawk Scouts can use their scouting knowledge to make it out of the forest alive! The trailer has just been released for Caroline’s next project! She is featured in an upcoming episode of Crypt TV’s new web series Mordeo. Directed by Ben Sottak, check out the trailer and get ready to watch the scary story unfold on January 4th! This Halloween, Caroline had the pleasure of acting in a new web series for Crypt TV. Premiering in January, directed by Ben Sottak, more details on her character and the story will be revealed to the release date! Check back in the new year for more information and a link to the episodes! Caroline just wrapped production on the independent feature film 'Take Care of Emily'. Caroline is featured in the role of Grace. The film is produced by Old Neighborhood Films, Directed by Nick Rapuano and written by Nick Rapuano and Corinne Britti. Set in picturesque early 2000's Madison, CT, 'Take Care of Emily' tells the story of two sisters separated by a generation (12 years between them), whose lives are upended by the loss of their parents. The film explores love, humor, and self-exploration in the wake of sudden tragedy. Set to premiere at 2019 festivals, location announcements to follow. For more information about the film, check out the film website here. Caroline will next be seen reading for the role of Mia for Jeff Athey's new web series CRITTERS. "A few of weeks after a high school student commits suicide, a couple of his friends get together and try to cope with his death by playing a game of dungeons and dragons." The reading will consist of the first 5 episodes of the web series and will be held at the Stella Adler Studio of Acting on Saturday, August 4th. Contact Caroline to reserve a seat! Now playing at 59E59 Theaters, Caroline served as Assistant Director for Kenny's Tavern, one of six new American one-act plays presented as Throughline Artists Summer Shorts Play Festival. In its twelfth consecutive year, this annual event provides audiences a chance to get reaquainted with some of their favorite American playwrites and discover new talent. Kenny's Tavern is written by Abby Rosebrock and directed by Jess Chayes, with Caroline Smith serving as the Assistant Director. The one-act performs in Series A and stars Stephen Guarino, Mariah Lee, and Francesca Fernandez McKenzie. Click here for tickets, now through September 1st, 2018! Caroline served as Stage Manager and Production Assistant for the latest workshop of Jerry Lieblich's new play The Barbarians. Directed by Paul Lazar, the two-week workshop rehearsed and performed at Dixion Place and was produced by Fault Line Theater. Performing Thursday-Saturday, June 21-23rd, the cast included Jennifer Seastone, Bhavesh Patel, Geoff Sobelle, Steve Mellor, Anne Gridley, Stacey Yen, Craig Wesley Divino, and Sharina Martin. Caroline had the pleasure of being the Workshop Stage Manager to the June 4th reading of Caroline Mcgraw's new play Believeland, directed by Oliver Butler and produced by Faultline Theater as part of their latest Irons in the Fire reading series. The week-long workshop featured Bill Buell, Tyrien Obahnjoko, Erin Wilhelmi, Alex Hurt, Tommy Heleringer, Nana Mensah, Nicole Spiezo, and Judy Kuhn. Caroline will be taking part in a reading of Sam Richardson's new short play Two Suicides to Every Story (But Who Am I to Count?). 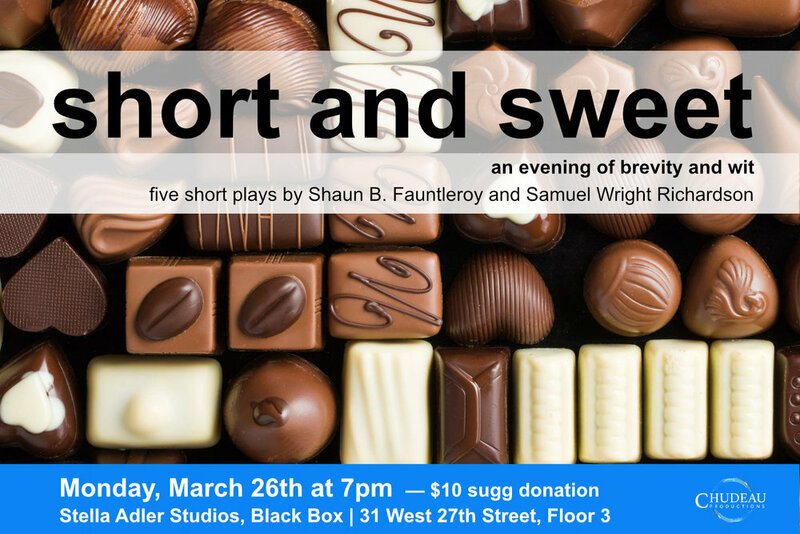 The play is one of five being read at Short and Sweet: An Evening of Brevity and Wit produced by Shaun B. Fauntleoy and Sam Richardson to fundraise for their upcoming short film. It will take place Monday, March 26, 2018 at 7pm at the Stella Adler Studio. Tickets are a suggested $10 donation and can be purchased online or at the door. Caroline was recently named Executive Director of Best Intentions Theater Company. Founded by co-Artistic Directors Joe Coles and Jonathan Young, the company was created as an artistic home for new and exciting work. Their most recent production "Up/Down Here/There" a new play by Jonathan was produced at the Actor's Arts Fund in Brooklyn in October. Caroline had the privilege of playing the role of Mary and co-producing the performance. Stay tuned for information on upcoming play readings and productions in the new year! Tickets are now on sale for Caroline's next performance, 'Up/Down Here/There' a new play by Jonathan Young. She plays astronaut Mary Clark in the inaugural production of Best Intention Theater Company's second season. 'Up/Down Here/There' examines the hopes, dreams, pasts, and futures of those who can’t stop wondering about what happens beyond Earth. 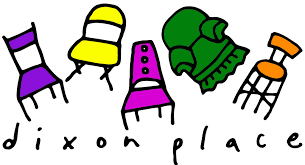 Told through interweaving strands, the show is an ensemble play about home, Mars, and how to tell the difference. Performances are November 10th and 11th at the Actor's Arts Fund in Brooklyn. Tickets can be found here - we hope to see you there! Caroline recently wrote and created the short "It's Not Me, It's You" the story of a first date that doesn't go quite as planned. With Colin Murphy, Charlie Hurtt, and Colleen Litchfield, and Gabriel Frye-Behar as Director of Photography. Check it out above and on Vimeo! Caroline had the pleasure of working on an animated short last summer called Imaginary Amelia. Created by Twinkle Bharwaney and her team, Caroline played the role of Amelia and had an amazing time lending her voice to the project. Her voice comes in at 6:40 - enjoy! Caroline was just in the world premiere of two short plays in a limited run of "Best Intentions: An Evening of Mistakes." The show, which performed at Access Theater, consisted of four short plays by new playwright Jonathan Young. Directed by Joe Coles, Caroline had the pleasure of being in both "Voices" as Anna's Voice and "The Stag" as Jessica.